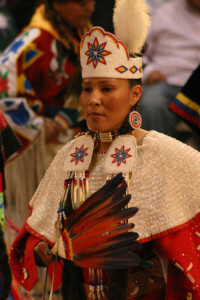 The Northern Traditional Women’s dance is known in powwow circles to be one of the oldest of all of the dances. 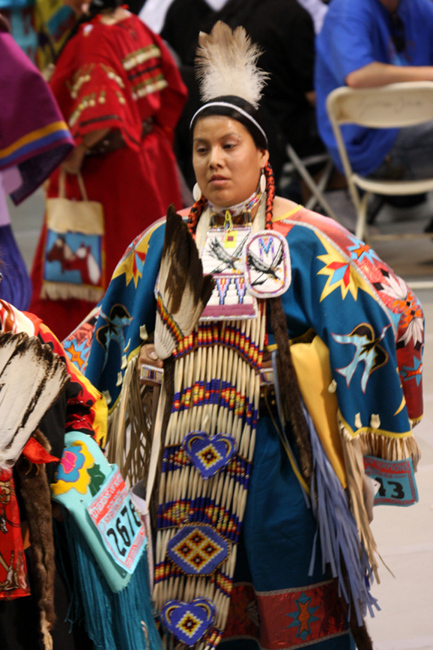 Although the category is new to the powwow world, as women were not always allowed to dance, it is an example of an ancient style of dancing. This stately dance involves a slow-moving or non-moving bouncing step, rhythmically dipping and swaying to the beat of the drum. 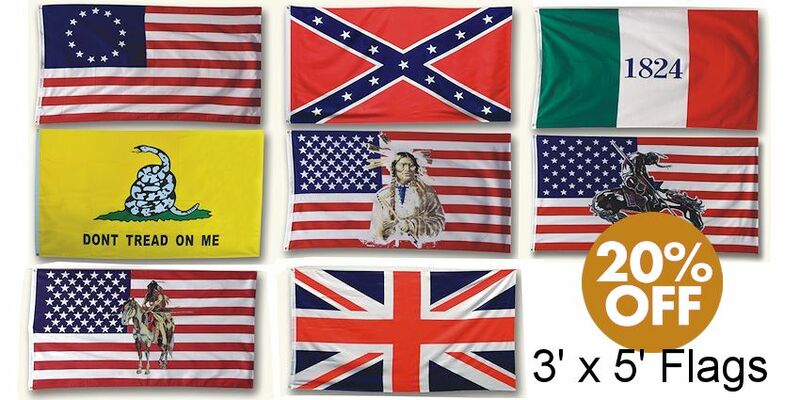 There are as many variations on the dress as there are individuals. 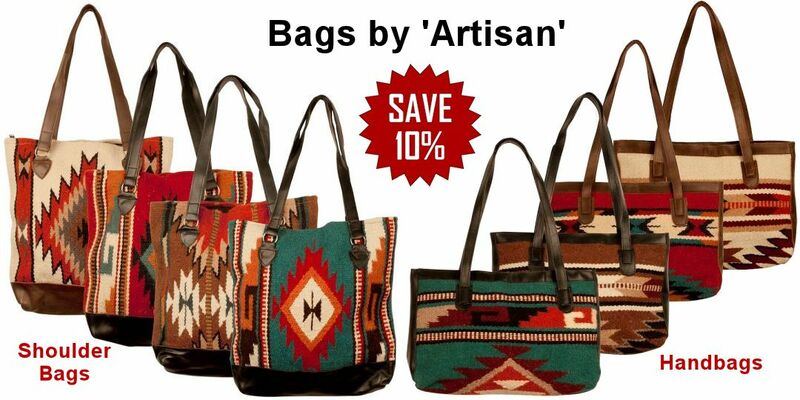 The origin of each piece and its use also varies from tribe to tribe but many pieces have originated from the tools that women carried and used most often in their daily work such as awl cases, knife pouches and even straps used as horse whips or to bundle and carry things. 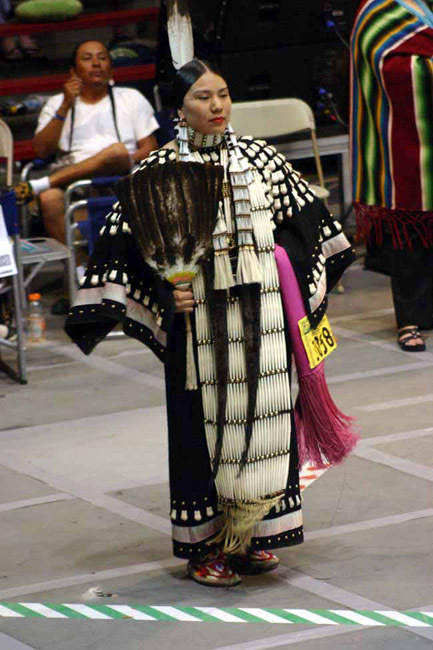 Dresses of wool or other material are heavily decorated with beading, quillwork, elk teeth, bone or antler or shells. The colors for this dance tend to be more subdued than in other outfits. 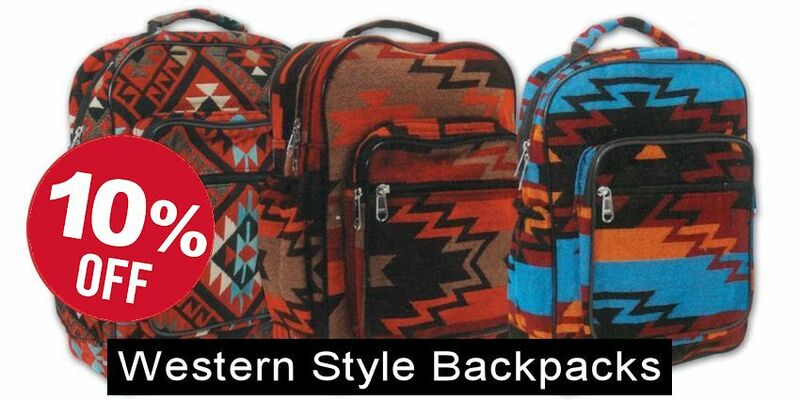 Crazy Crow Trading Post has long been your number one source for Native American Indian craft supplies for your Pow Wow regalia and other needs. 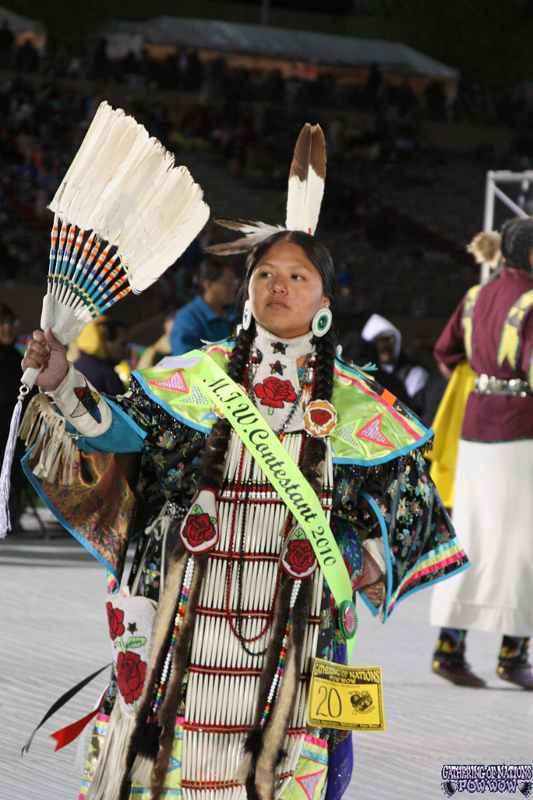 This photo gallery represents women’s northern traditional dance outfits, mostly taken at Gathering of Nations Pow Wows in Albuquerque, New Mexico. We thank Derek Matthews of Gathering of Nations, and others who have given permission to present these photos in this gallery.